Amber Heard stepped out this evening(November 26th) in London for the world premiere of 'Aquaman' at Cineworld Leicester Square. 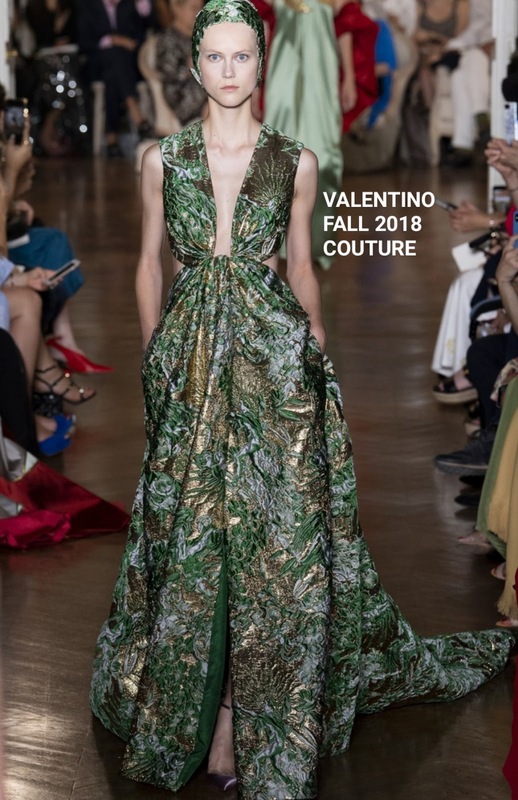 Wearing a look that spoke to the tone of the movie, she wore a VALENTINO FALL 2018 COUTURE gold & green floral brocade halter gown. This was such a dramatic moment for Amber and definitely on my favorites list. Her brocade gown which featured a front split, a cutout back and a flowing train in the back, was teamed with a matching swim inspired cap. The cap feels a tad silly but because of the film, I get why she kept it. BRIAN ATWOOD gold sandals finished up her winning look. How do you feel about Amber's look?